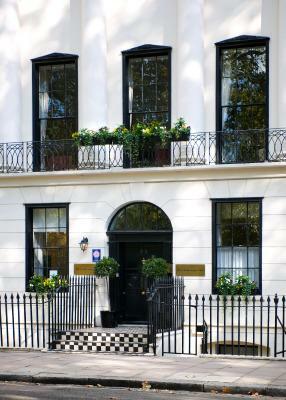 Lock in a great price for The Goodenough on Mecklenburgh Square – rated 8.4 by recent guests! Unique atmosphere of a college. Big and nice room with a view to a quite square with trees. Quiet street, nice house, perfect neighborhood if you understand what I mean. Good and neat room for a reasonable price. Very warm and cosy. 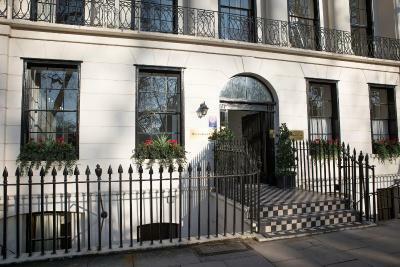 Great location, 9-12 mins walk from underground stations (Russell Square, and Kings Cross), Rooms are clean and breakfast is good. Large room, good lighting, comfortable bed, thick towels, rainfall shower. Did not mind going across to London House for breakfast as we had beautiful weather (in bad weather I might opt for the continental breakfast on site). We loved its connection to Goodenough University just down the block, where you can go for breakfast and even drinks and a snack. Also liked the fact that you could pull your car right up to the front door and even keep it there over night. Rooms are small but clean and bright. Huge room, although not cheap. Very quiet part of town. Near the underground. 5-10 minute walk to the British museum. Very comfortable beds. 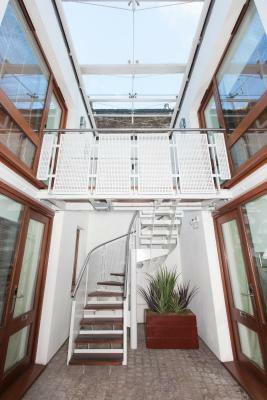 Location is awesome - easy access to everything in London. The breakfast is also awesome!!! 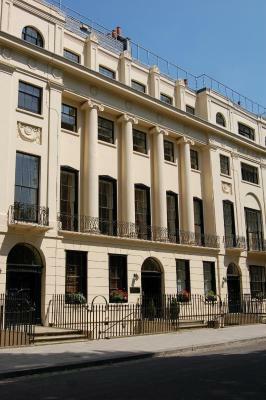 The Goodenough on Mecklenburgh Square This rating is a reflection of how the property compares to the industry standard when it comes to price, facilities and services available. It's based on a self-evaluation by the property. Use this rating to help choose your stay! 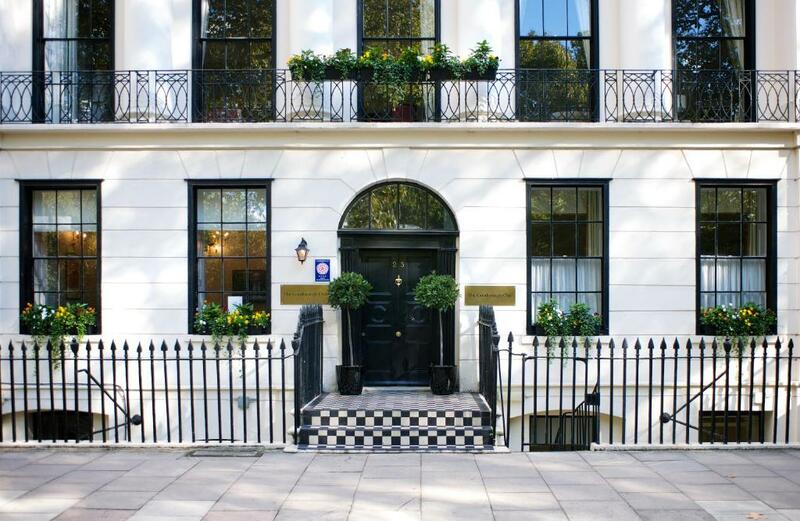 One of our top picks in London.Goodenough Club offers 4-star accommodations overlooking a quiet garden square in London's Bloomsbury, 2,950 feet from King's Cross and St Pancras International stations. It has free WiFi and rooms with attached bathroom. 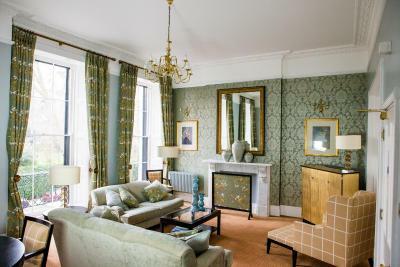 The Goodenough Club consists of 5 Grade II Listed Georgian town houses and offers 4-star accommodations. It mixes original character and traditional style with modern comforts. The rooms have a TV, telephone, hairdryer, and tea and coffee-making facilities. 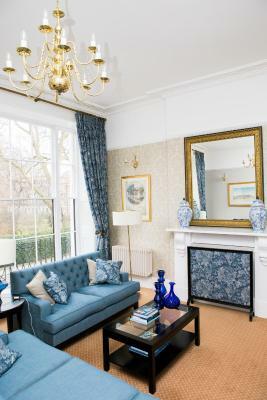 Rooms looking out over the Mecklenburgh Square Gardens are available on request. 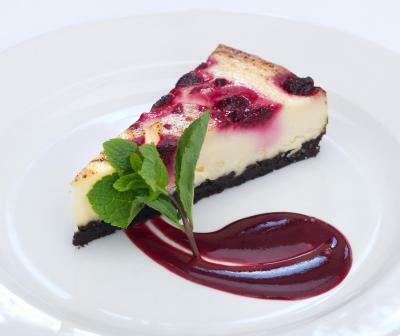 A continental breakfast is included in the room rate and served in the Club Guest Lounge. 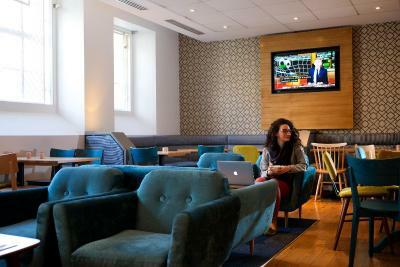 Guests can also relax in the lounge with a complimentary coffee and newspaper during the afternoon or evening. 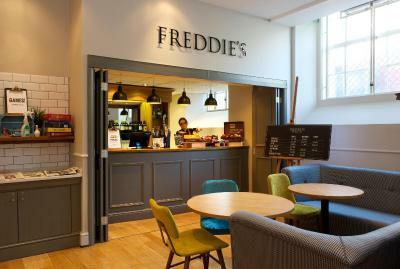 A freshly cooked breakfast and lunchtime hot meals are available just across the square in the college's Great Hall and Freddies Bar. The Goodenough Club is part of Goodenough College. Guests can attend the international college's cultural and academic events. 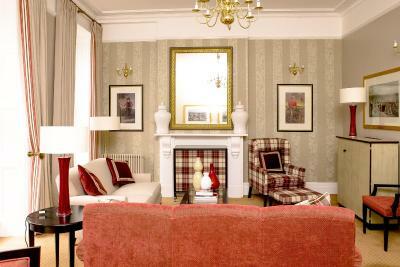 When would you like to stay at The Goodenough on Mecklenburgh Square? This room with a private bathroom features a desk, a satellite TV, and tea/coffee-making facilities. Please request twin or double beds when booking. 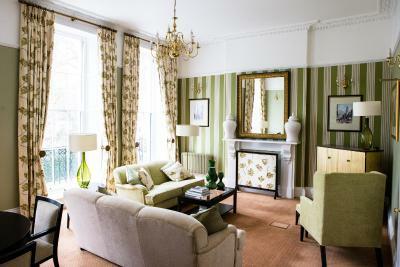 These luxury suites have high ceilings, chandeliers and a separate living room overlooking the garden square. It also features a desk, a satellite TV, tea/coffee-making facilities, slippers and bathrobes. With free Wi-Fi, this room with a private bathroom features a desk, a satellite TV, and tea/coffee-making facilities. 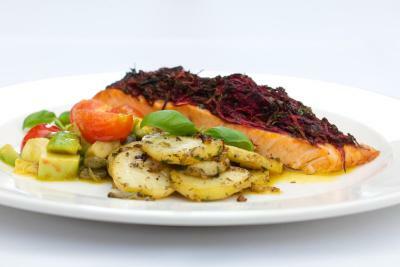 House Rules The Goodenough on Mecklenburgh Square takes special requests – add in the next step! 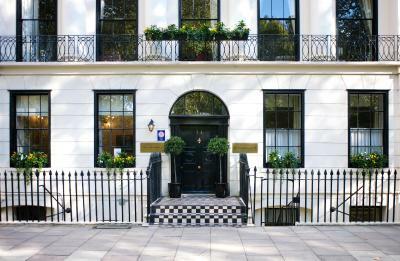 The Goodenough on Mecklenburgh Square accepts these cards and reserves the right to temporarily hold an amount prior to arrival. 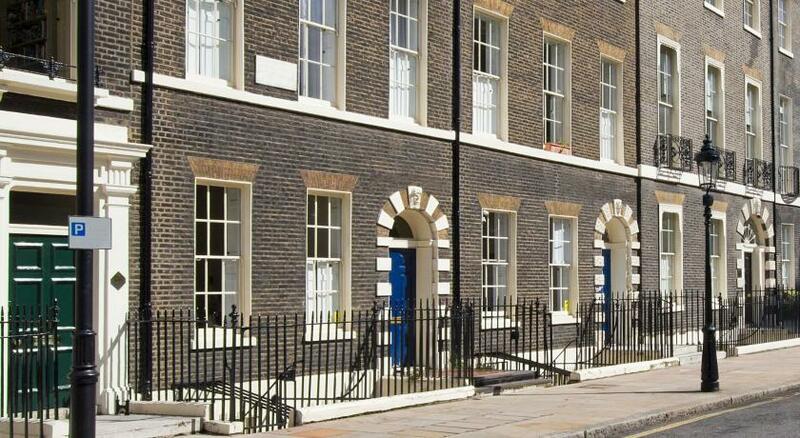 Due to restrictions imposed by the property's listed building status, there is no elevator. However, a member of staff will be on hand to assist with luggage. Payment will be requested in full upon check-in. 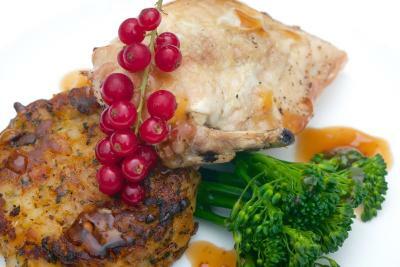 Apart from external meal venues there were no problems. The Goodenough is a really interesting accommodation option, being part of a Postgraduate international Residential college. Meals are outside the hotel in the student bar or in the Great Hall. Both of these were great venues and the food was good. Could be a problem with the 100 metre walk on a cold wet day but ok for us. Great reception staff. The rooms were warm and comfortable. A bathroom shelf would have been useful to put your toiletries on. Not a great view from the window and a little noisy at night as we were located a few yards from the reception area. The room was basic but Comfortable and very clean. There was nothing that I would complain about. Breakfast was lovely over at the college. 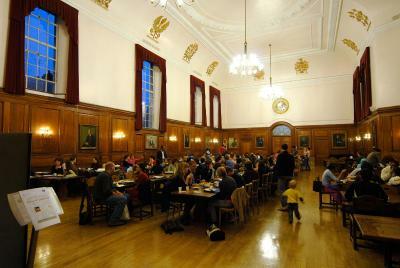 Eating in the Great Hall was a lovely experience. 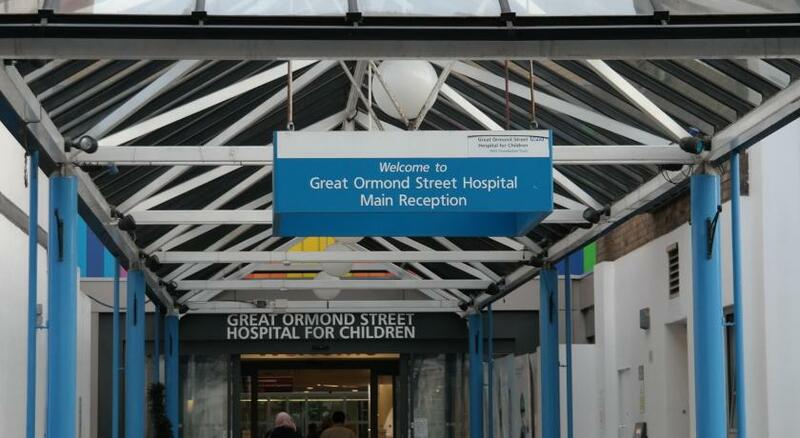 Staff were helpful and very pleasant. Loved having breakfast in the great hall! Really friendly staff - especially Ahmed, the guy who was running the reception desk when I arrived very late in the evening. He was superb - and couldn't have made me feel more welcome - really friendly and keen to help - he made a brilliant first impression. Nice location. Very nice breakfast place. Very peaceful square. No lift!!! Not advised on booking either - biggest issue when on business alone and with luggage. Not happy. Not easy to get food and drink, loads of stairs and like a rabbit warren, quite hard work. Good area though and close to Brunswick for eating and trains. The staff were so friendly and helpful. The room was so clean and tidy. It is a pity that there is no lift, and since I have to be careful of a hernia condition this is a problem with a heavy bag, though the staff will offer assistance. The deal lamp was not working, and although I reported this and someone came round to check, it had still not been fixed when I left after three nights. I have stayed before and was satisfied, with the rooms and location. The staff are excellent, and the kind of people who stay there are fairly subdued, often academic, and so the atmosphere is peaceful. There is a lovely garden across the road that guests have private access to, and there are good small museums close by. 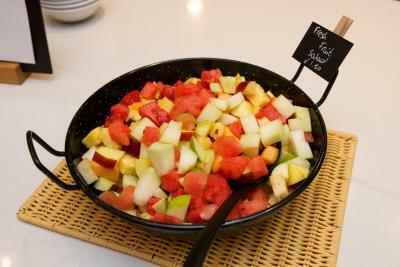 Oat porridge with honey, fresh fruit and a cup of tea, very nice continental breakfast and good service at the Hotel.